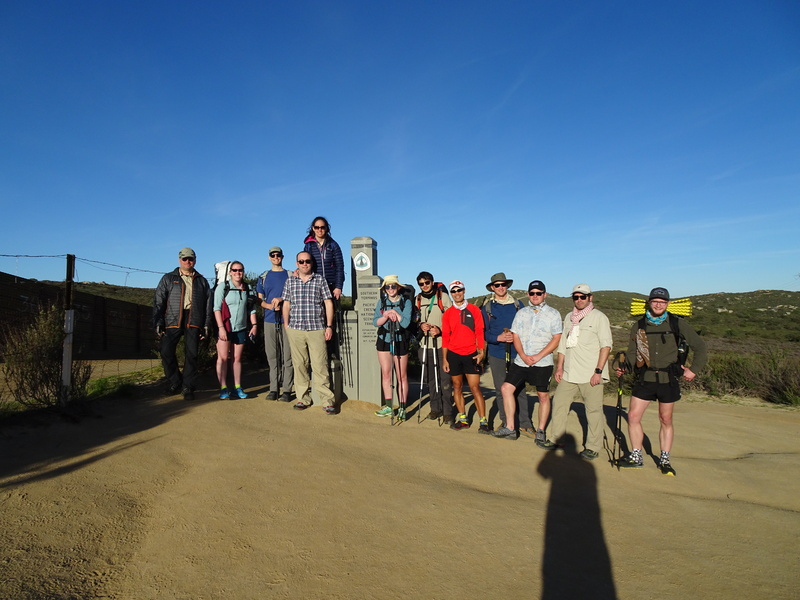 We started at the Mexican border near Campo California. We hiked 15 miles to Hauser Creek, before the ascent into Lake Morena. The day was really hot, and we had a bit of a climb ahead of us! We got our St Barnabas T-shirts out to have a photo by the monument in honour of my father, Ian Aitken, who passed away at the hospice. We couldn’t wait to get started, but it felt like we had to stay around the monument for a bit. I think we were there for an hour. 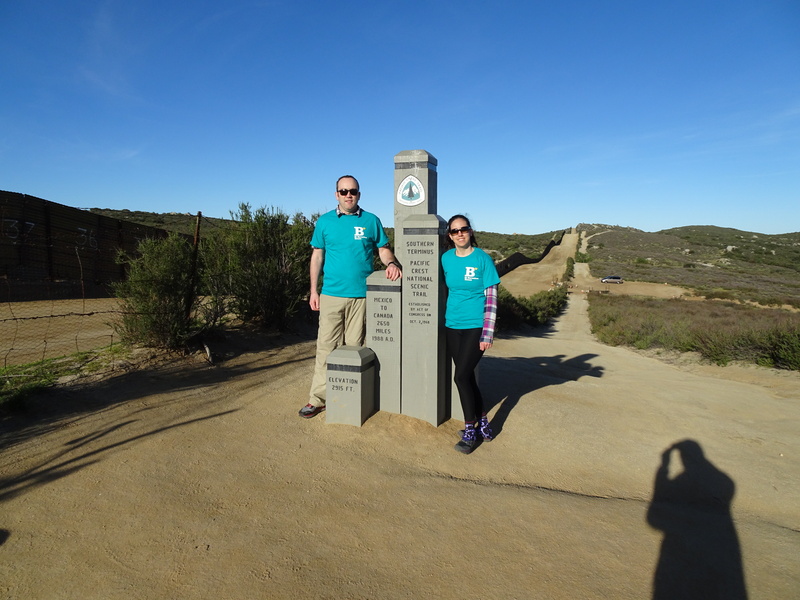 We also met “half-mile”, which is the trail name of the gentleman who put together all the maps for the pacific crest trail. It would have been a lot harder for us to complete this adventure without his wisdom! So big shout out to half-mile. We hiked with 12 litres of water, as we wanted to get all the way to Lake Morena before filtering water. What great start to our adventure, and we can’t wait to see what lies ahead! Watch our PCT day 1 video below!…. See you on Day 2….